Breakpoint is a point that allows for the provision of the best possible layout that enables users to consume or understand your site's content. When you first begin to work with Responsive Design you will define your breakpoints at the exact device widths that you are looking to target. Breakpoints in website builder WebWave in Desktop mode are marked with black dotted line. 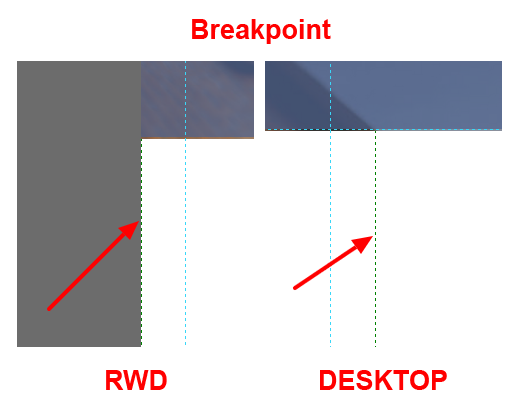 In any other mode, breakpoints are ends of working space.